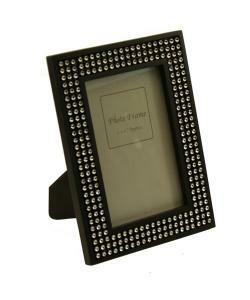 Stylish and contemporary photo frame features a matt black background with a diamante border. For portrait and landscape pictures. Matching frame available in more sizes.